Coffee and Cakes: Lookin' Spiffy! Good morning, the short work week begins as the weather can't decide between snow or rain. Drive safe if you are heading anywhere. 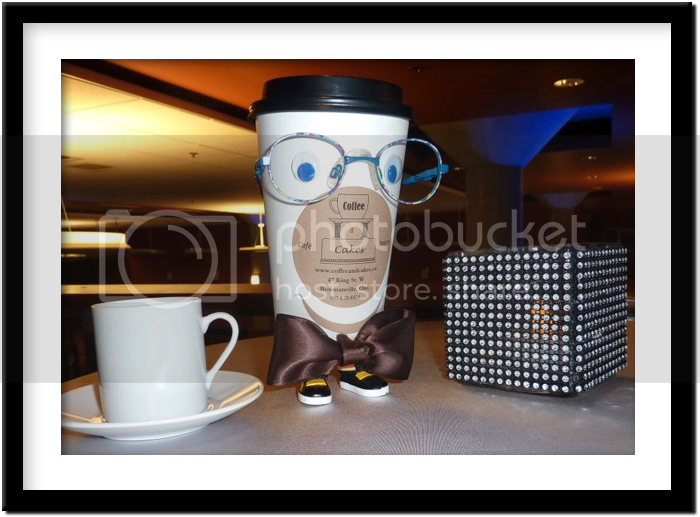 As you can see in the picture Cuppie was looking quite spiffy as he was enjoying a little bit of caffeine at the Espresso bar at the Joy of Arts Mayors Gala Saturday evening. Thanks to Petra and Martin of Our Valley View Bed and Breakfast for doing a great job on the Espresso bar.